Welcome to the Pinterest for Business series, in which we explain how Pinterest works and share tips on how to use Pinterest for business. This is part 2 of the series. It’s been a big year for Pinterest. The image posting site grew 40% since 2016 and now hosts more than 200 million monthly active users. And what the Pinterest users love could lie on your blog. 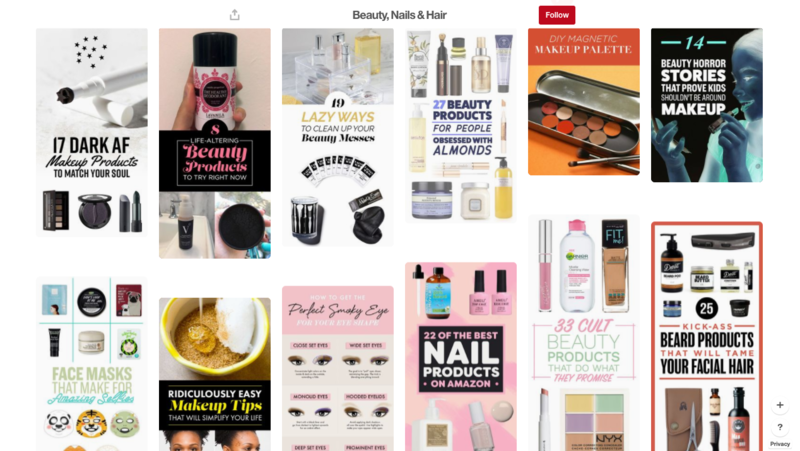 Whether you publish beauty tips, life hacks, or sports updates, Pinterest could be a treasure trove of engaged readers and new connections for your blog. Here are 10 solid strategies you can use to win on the platform. Pinterest isn’t the place to copy and paste your Facebook and Instagram strategy. Its unique format requires a whole new design approach. For example, since Pins are organized into columns, “tall” or longer Pins stand out in the feed. According to Pinterest, these vertical Pins can help you increase clicks and engagement. So try playing around with vertically-oriented visuals, like these from BuzzFeed’s “Beauty, Nails & Hair” board. Keep in mind that the best aspect ratio on Pinterest is 2:3 and, according to PicMonkey, the ideal Pin size is 736×1104 to 2061. Pinterest is all about visual content. 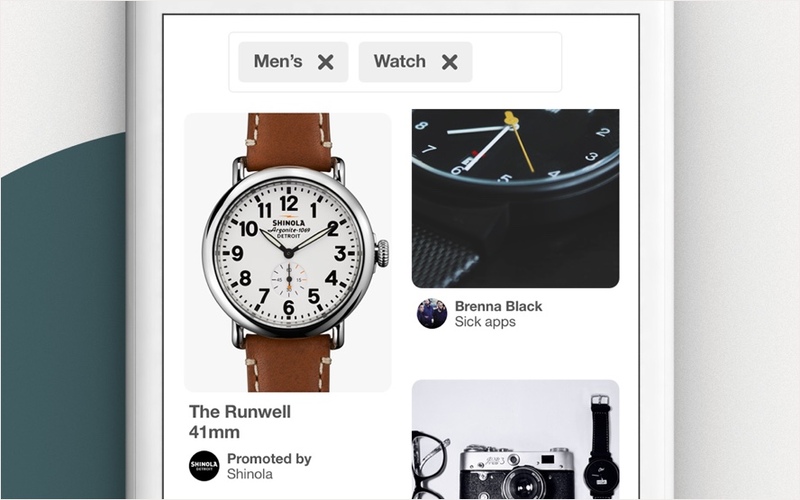 So if that’s not your forte, Pinterest is offering a way to help with the Pin Collective. This initiative pairs marketers with expert Pinterest creators to create top-notch content for their audience. To get started you can email pin-collective@pinterest.com or visit the Pin Collective site. You can enable readers share your blog content on Pinterest by placing a Pinterest button on your site. This Pinterest Pin button allows visitors to save your photos and videos directly on their Pinterest boards. 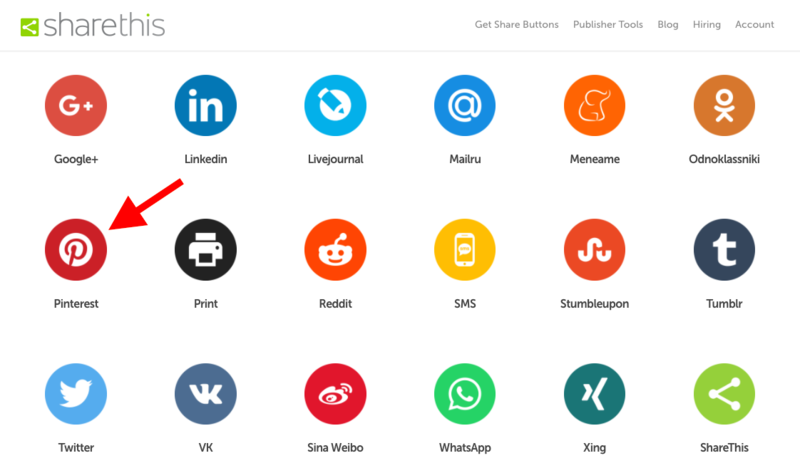 Just start designing your social share buttons, choose the Pinterest share button from our range of over 35 options of social media buttons, and place the lightweight code on your site. With the Pinterest button ready to go, you and your readers will be Pinning in no time! Feel like you can’t fit enough information into your Pins? That’s where the Rich Pins feature comes in. Rich Pins help you provide more context around your posts by adding some additional details. There are four types of Rich Pins: app, product, recipe, and article. For bloggers, article Pins can be a game-changer. This tool automatically adds a headline, author, and story description to your Pin. So even if you’re just posting a picture or slideshow from your article, Pinterest users can get a glimpse of where it came from and head to your site to learn more. The first half of the battle is creating great Pins. The second half is getting those Pins in front of the right people — with a little extra funds, you can make sure that happens. For example, you can promote a Pin that you’ve already posted and target it to a certain audience. Depending on your goal, you can also choose to pay for engagement or site visits. These Pins are called out with a “Promoted by” disclaimer at the bottom. But other than that, they fit neatly into users’ feeds and can help you drive even more value from your Pinterest strategy. You probably know that infographics can do wonders for your blog. 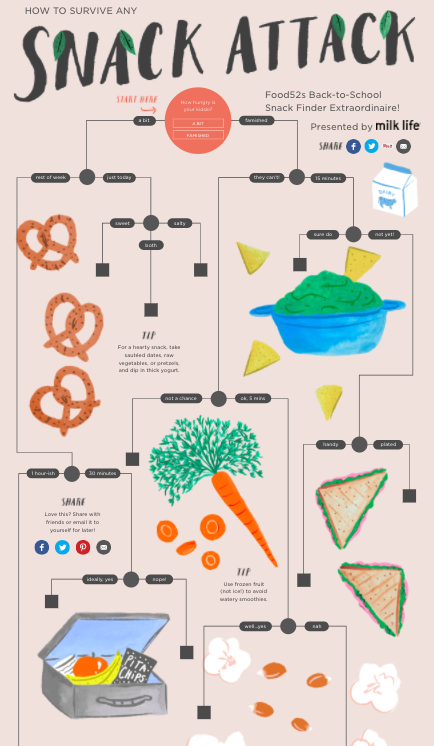 They’re visually engaging, easy to digest, and fun to share. So if you’re already creating them, then great! You now have an opportunity to repurpose them on your Pinterest boards. It’s vertically oriented, so it stands out on the Pinterest board. And it combines engaging visuals and helpful information all in one neat and Pinnable package. No piece of content is immune to the charms of SEO — even Pins. That’s why it’s important to do your keyword research. You can use tools like SEMrush, SpyFu, and Moz Keyword Explorer to find the keywords that your target audiences are searching for. You can — and should — also play around with the Pinterest search function to see what kinds of Pins pop up for your keywords, and which suggested categories Pinterest provides. Once you’ve identified the right keywords for your blog and audience, be sure to include them seamlessly into your Pinterest profile, board names, board descriptions, and Pin descriptions. For more tips on SEO, check out our blog post: How to Strategically Use Share Buttons to Increase Engagement and SEO. 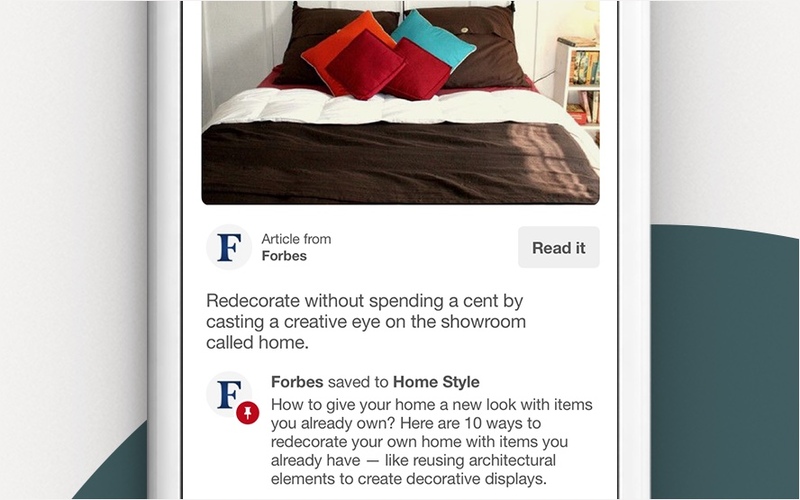 Social media doesn’t sleep, but Pinterest users do (at least, we hope). Just like on any other social platform, engagement ebbs and flows at certain times of the day and on certain days of the week. 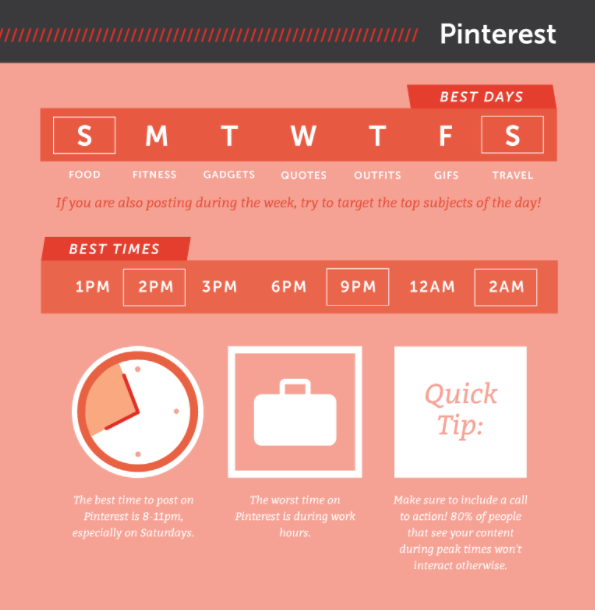 According to HubSpot, it’s best to post on Pinterest on Saturday and Sundays around 2 PM, 9 PM, and 2 AM. In fact, the optimal time is between 8 and 11 PM on Saturdays. By understanding when engagement is generally at its peak, you can set yourself up to drive better numbers from your Pinterest strategy. If you don’t plan to work during those optimal hours — or if you just want to prepare ahead of time — schedule your Pins in advance. 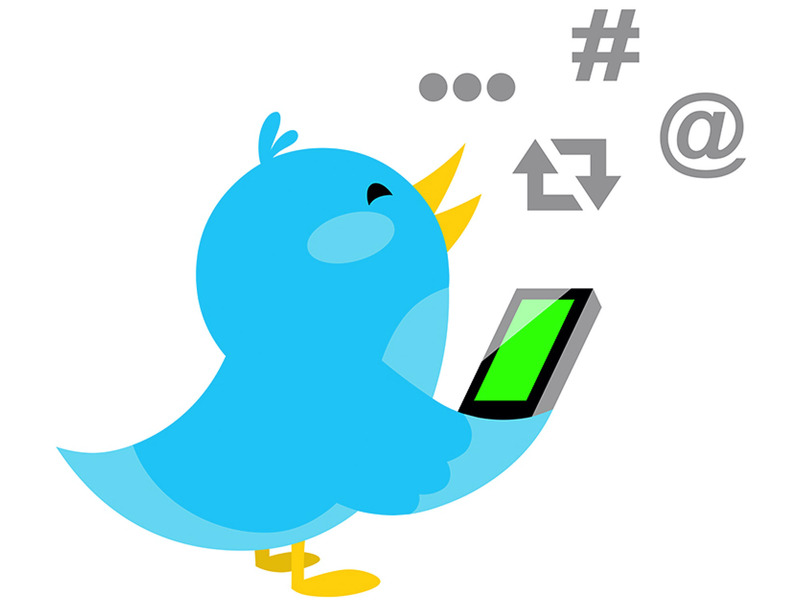 For instance, you can use a tool like Buffer or ViralTag. Just connect them to your Pinterest account and start Pinning. This is a simple strategy, but a necessary one. It enables you to have have a whole stock of Pins that are ready to go at just the right time. Pinterest analytics aren’t like other social analytics. You won’t see bounce rates or retweets here. 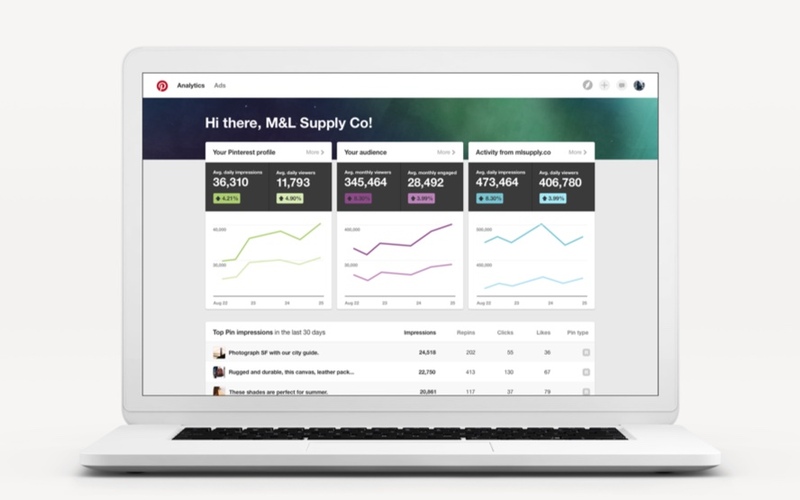 Instead, you’ll be able to view clicks, saves, impressions, and demographics. You can even see other interests of people who engage with your content. With this information at your fingertips, it’s easy to optimize your Pins to better reach your target audience. You just need to sign up for a business account to get started. With over 100 billion Pins on Pinterest, it’s tough to stand among all of those digital bulletin boards. It doesn’t help, either, that you’re up against glossy photos of adorable puppies, delicious cakes, and gorgeous home decor. But you can’t let that get you down! Remember that everyone comes to Pinterest to find more of what they love. And chances are, some of those people can find what they love on your blog. You just have to be there to show them. And you can do it with these 10 strategies. Want to build your audience on other popular social channels besides Pinterest? Check out these posts.